Complete Stainless Steel Bar Rail Kit with brackets and caps. 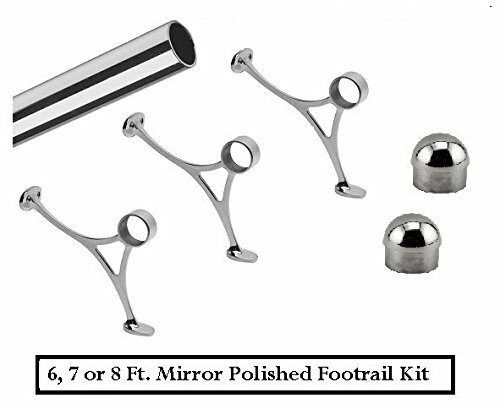 2" OD Rail Size Polished Mirror Finish Commercial Quality. Looks shiny like chrome plate. Alloy 304 is Suitable for indoor or outdoor use. Easy to install. Adhere end caps with any household superglue or silicone. If you have any questions about this product by Vericous Pdt/Lido, contact us by completing and submitting the form below. If you are looking for a specif part number, please include it with your message. RTA Design Chicago Collection Glass Doors-1 Mirror-Glass Storage Bar Cabinet (Beige, 1 Unit).